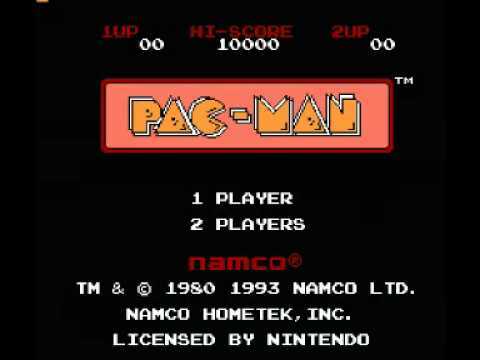 I think an argument could be made that Pac-Man is the most iconic video game of all time. After all, how often do you see parodies and references to Pac-Man himself? Very often, I’d say. His influence is so broad that you’ll find him (or the ghosts, Inky, Blinky, Pinky and Clyde) everywhere, from “Weird” Al Yankovic Beatles parodies and episodes of Futurama, to animated Disney movies. Does that then mean that Pac-Man is one of the greatest games ever made? Or is it simply a case of being so iconic due to the fact that it was one of the very first of its type? Personally, I think it might be a mixture of both. On the one hand, the game design is kind of ingenious. You move around the maze and have to eat all the dots while avoiding the ghosts. If you eat a big dot, that means you can eat the ghosts as well, but only temporarily. It’s so simple that anybody could grasp it and anybody could have fun with it. It is, perhaps, one of the most accessible games ever created. Plus, the strange absurdity of a yellow man eating dots and ghosts in a maze with no context is actually kind of endearing. On the other, it gets old pretty fast. You may say that it was made in 1980 and so, of course, it’s not going to have the same sort of life span as certain other games, but I’m not quite convinced. A few of the Game & Watches from roughly the same time have the same simplicity in their design, but I don’t get bored of them anywhere near as quickly. 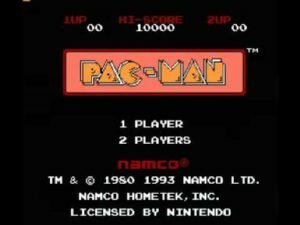 Pac-Man, meanwhile, I’ll rarely play for more than five minutes and don’t come back to so often. So, overall, it’s hard to make a clear conclusion. I have a lot of respect for it, but it fails to captivate my interest for long. It’s not bad and it’s not amazing. I hope that my score fairly reflects it’s historical significance, as well as it’s historical limitations.